If you’ve been playing Destiny 2, you may have noticed that the Destiny Companion app no longer functions the way it used to. 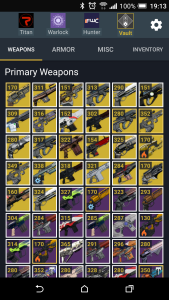 In fact, the companion app is now far less useful than it was during Destiny 1 and has lost most of the functionality that made it a must have for the original game. One of the most useful features lost was the ability to transfer gear between your guardians and the vault without ever going to the tower. 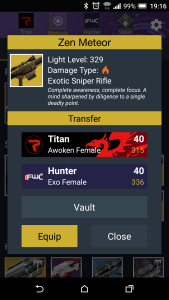 Why Bungie got rid of this is head scratching but luckily there’s a 3rd party app that allows you to do this called Vault Item Manager. It works for Destiny 1 and 2 but for this review, I’m focusing on Destiny 2. iOS users however are out of luck as this app is currently only on Android. 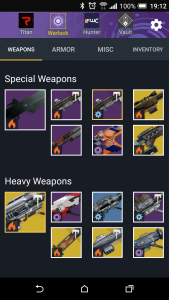 The Vault Item Manager only has one function and it’s to manage your weapons, armor, and miscellaneous items between characters and the vault. With it you can equip weapons and armor and transfer unused items directly to your vault or to other characters. 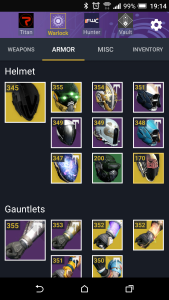 This makes is so much easier to manage your loadouts without having to log into each character and visiting the vault at the tower. It mainly saves you a ton of time. I’ve been using this app for the past week and it’s pretty good considering it is still in beta. It works well, though there’s the occasional hiccup. I love that I can see all my weapons and the power level on them and instantly equip or transfer them between characters. It’s very helpful if you’re trying to grind multiple characters or have those favorite weapons that you share between all characters. 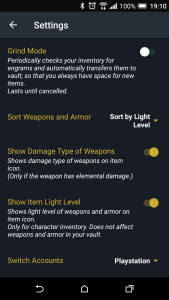 The Vault Item Manager (beta) fills a hole in the official Destiny Companion App that shouldn’t be there in the first place. 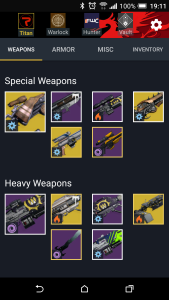 It still makes no sense why Bungie has downgraded that app to basically a shell of what it once was but thankfully the Vault Item Manager app exists. It’s free so it’s well worth the download and if you want to support the developer, do an in-app purchase to remove the ads.